Adam West left an impressive legacy when he passed away in 2017 at the age of 88. The actor was beloved by millions as Batman in the campy 1960s TV series of the same name. Through his portrayal of the Caped Crusader, West proved superheroes could be tough and have a sense of humor. There's a smaller legacy West leaves behind as well, this one in central Idaho. The actor proved his funny bone extended beyond the small screen by pulling a prank in the local phone book. In the later years of his life, West spent most of his time at his home in Ketchum, Idaho. 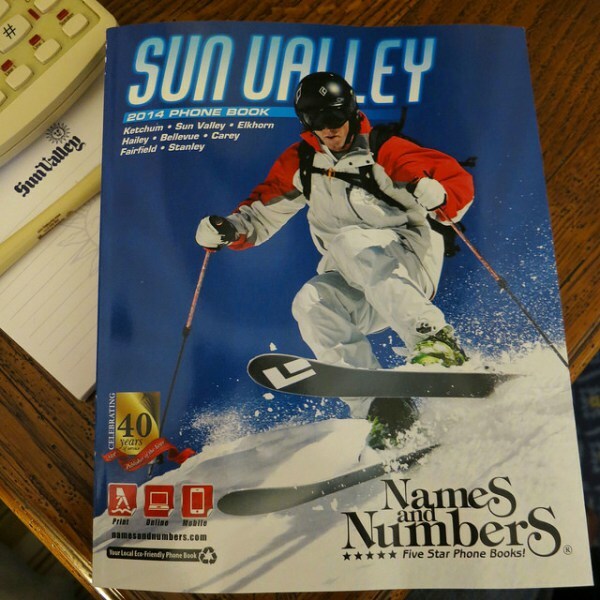 The area is a popular destination for skiing, hiking and fishing, so it gets a lot of visitors. Rusty Blazenhoff was one such tourist. Visiting the region for a conference, Blazenhoff realized West lived in the area. Therefore, he did what any curios pop culture enthusiast would have done — looked in the phone book to see if the actor was listed. Blazenhoff discovered that, indeed, West was listed. But instead of finding the actor's phone number and address, he was redirected. The listing said "See Wayne Bruce (Millionaire)." Okay, maybe West was having a little fun and was actually listed under Batman's alter ego. 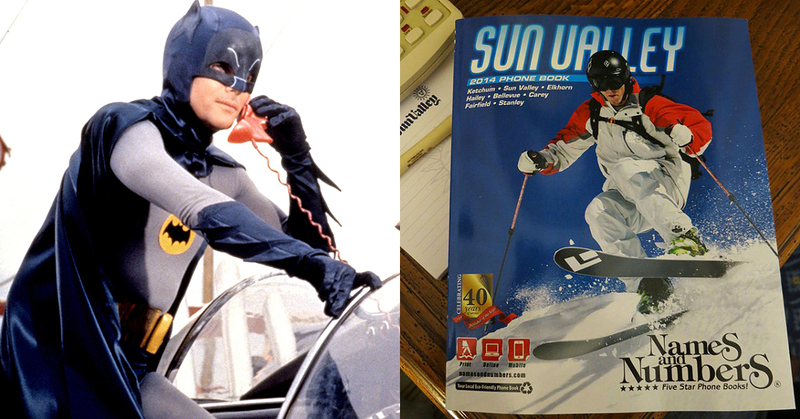 Blazenhoff went to Bruce Wayne's listing and found another surprise. 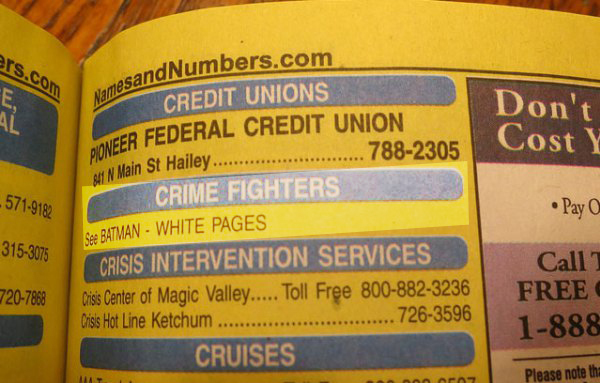 The listing for Bruce Wayne said, "Please consult Crime Fighters in the Yellow Pages." By this point, Blazenhoff was on a mission. When looking under Crime Fighters, he found another detour — a listing for Batman himself. When Blazenhoff went to Batman's listing, it said, "See West Adam." West took Blazenhoff full circle without revealing his whereabouts. We bet West got a kick out of setting up this scavenger hunt in the phone book. Who knows how many other people fell for the prank. The sense of humor is just another reason why we'll miss him.